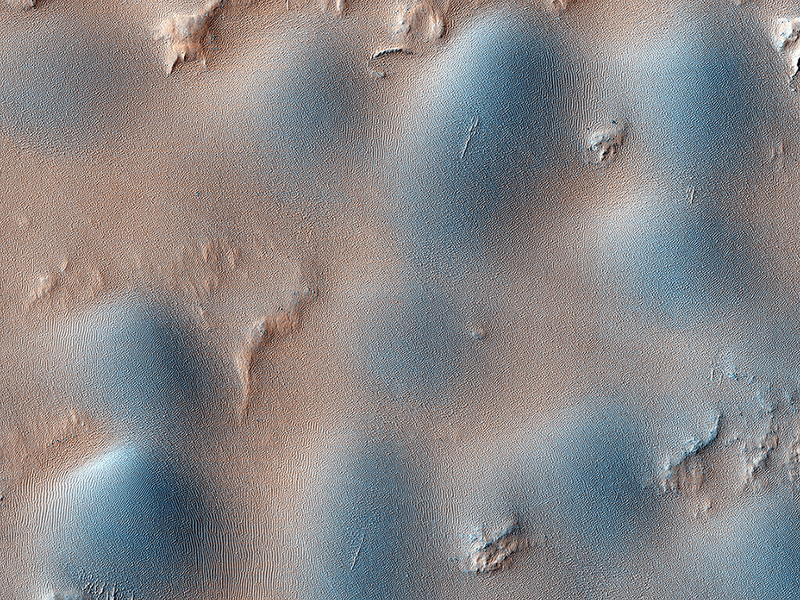 This observation shows a small sand dune field on the floor of Newton Crater, an approximately 300 kilometer (130 mile) wide crater in the Southern hemisphere of Mars. The image shows both dome and barchan dunes. Both these types of dunes are also found on Earth. Barchan dunes in particular are common on Earth, and are generally crescent-shaped with a steep slip face bordered by horns oriented in the downwind direction. Barchan dunes form by unidirectional winds and are good indicators of the dominant wind direction. In this case, the horns of the barchan dunes are not very distinct but appear to indicate that the strongest winds blew approximately southeast to northwest. 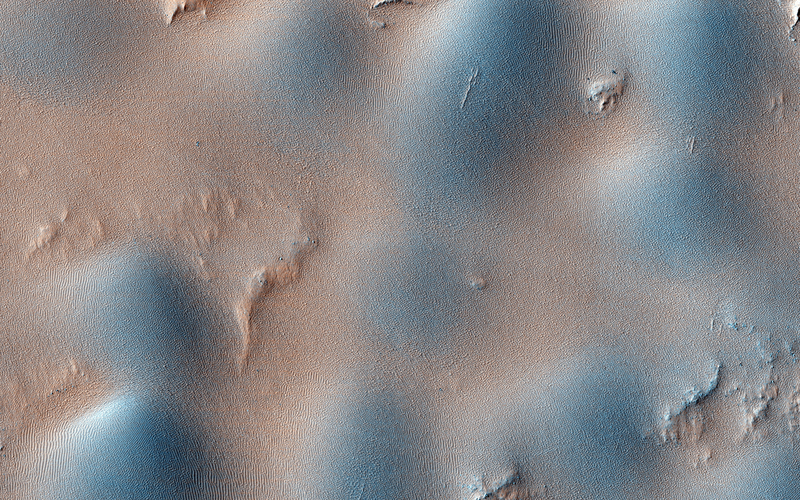 Note the pattern the dunes form around a bright streak in the downwind direction behind a crater in the center of the image.